The SY58040U is a low jitter, low skew, high-speed 4x4 crosspoint switch optimized for precision telecom and enterprise server/storage distribution applications. 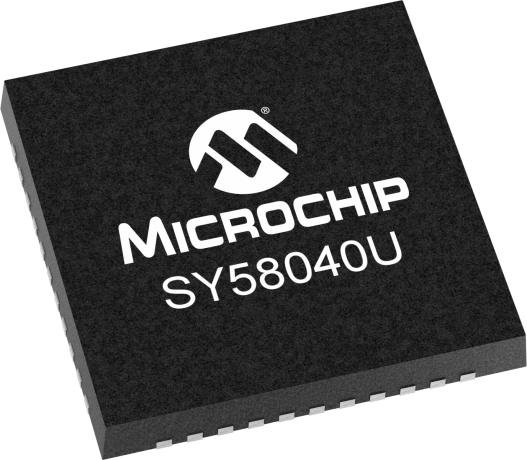 The SY58040U distributes clock frequencies from DC to 4GHz, and data rates to 5Gbps guaranteed over temperature and voltage.The SY58040U differential input includes Micrel's unique, 3-pin input termination architecture that directly interfaces to any differential signal (AC- or DC-coupled) as small as 100mV (200mVpp) without any level shifting or termination resistor networks in the signal path. The outputs are 50Ω source-terminated CML with extremely fast rise/fall times guaranteed to be less than 60ps.The SY58040U features a patent-pending isolation design that significantly improves on channel-to-channel crosstalk performance.The SY58040U operates from a 2.5V ±5% or 3.3V ±10% supply and is guaranteed over the full industrial temperature range of -40°C to +85°C. The SY58040U is part of Micrel's high-speed, Precision Edge® product line.